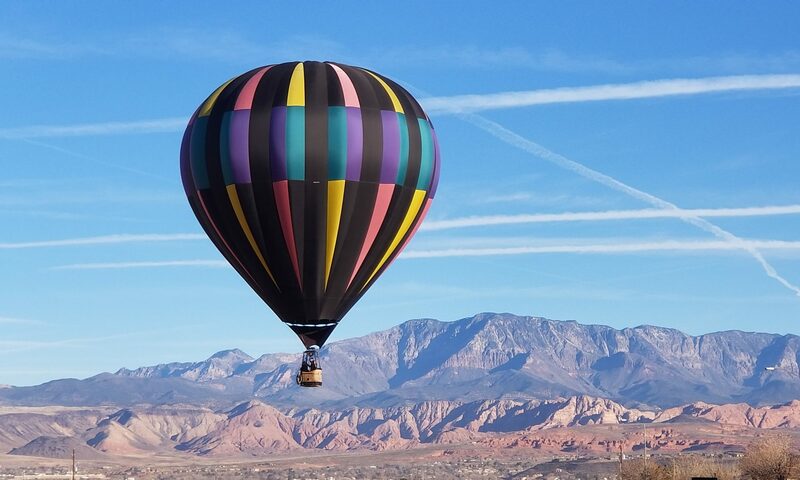 Thank you for your interest in taking a hot air balloon flight with us! We are sure you will love the experience as much as we do! Please read through the following info before booking your balloon adventure. We require a $100 non-refundable down payment via credit card or Paypal to reserve your flight date. The deposit amount will be applied to your balance due. If the flight is cancelled due to weather or by Calm Sky Adventures LLC for other safety reasons your deposit will be applied to a rescheduled date within 12 months following your original reservation date. We do not recommend flying for children under 12 years old as they often are not able to see over the basket sides and do not get the full ballooning experience. Please contact us prior to booking if you wish to fly with small children. Balloon flights are very dependent on the weather. We will only fly when it is safe to do so. While we try our best to fly you on the specific day you scheduled, the weather doesn’t always cooperate. Be prepared to have to reschedule your ride multiple times due to weather conditions. We will contact you a day or two prior to your scheduled flight with an update on if the flight appears to be a go or if the weather doesn’t appear it will be suitable for flying the scheduled day. If the weather looks good for your scheduled day we will give you the meeting time and location for your flight. Please don’t be late to the meeting site as delays can cause flight cancellations. Cigarettes/smoking/vaping and pressurized propane do not mix. Smoking/vaping is NOT allowed in our crew vehicles, at the launch site, during the flight or at the landing site. Instructions for booking a flight. – After clicking the send button the page will pull up a PayPal button. Note: If using a gift certificate please mention it in the notes portion of the booking form and close the window/tab after clicking submit. Do not continue to the PayPal deposit portion of the booking.